Preaching Christ - What is it? by C.H. 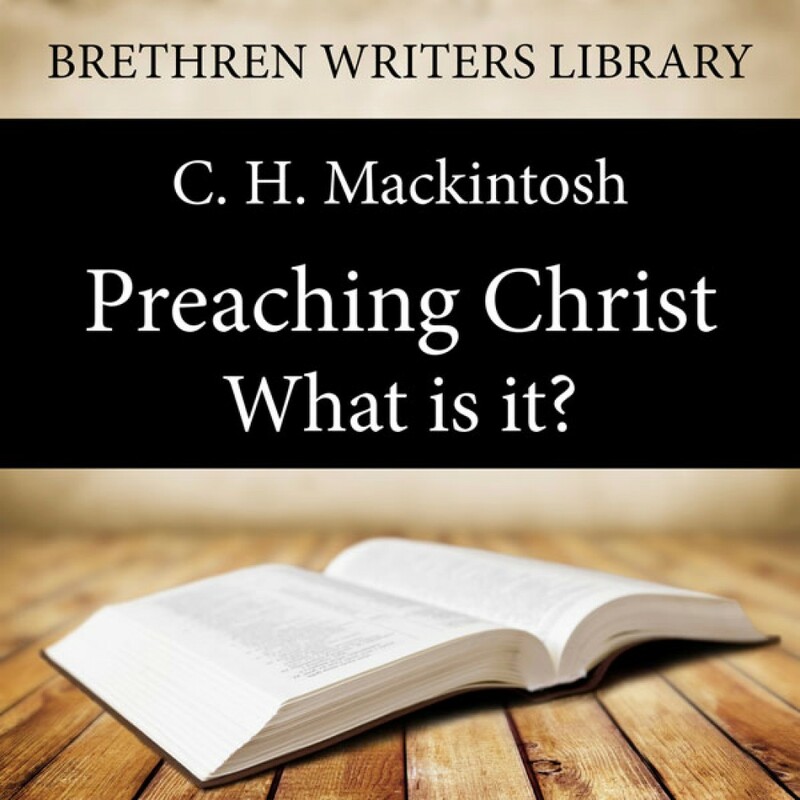 Mackintosh Audiobook Download - Christian audiobooks. Try us free. Preaching Christ – What is it? A word about the author: C. H. Mackintosh, (1820 -1896) was born in County Wicklow, Ireland, and is generally known as C.H.M., which is all that appeared on the title pages of his major writings. He was one of the major evangelists and Brethren authors of the 19th century. CHM was converted when he was 18, he briefly farmed and then ran a school before fully committing himself in 1854 to serving the Lord whom he so fervently loved. The rest of his life he spent very actively preaching the gospel to the unsaved and presenting sound ministry both in writing and preaching, travelling widely in the British Isles and living in a number of towns in Ireland and England. He was very active in the Ulster Revival of 1859.